Rejuvenated Djokovic faces local favourite Edmund in a much-anticipated third-round fixture on Saturday. Here's how you can watch the match live on TV and online. 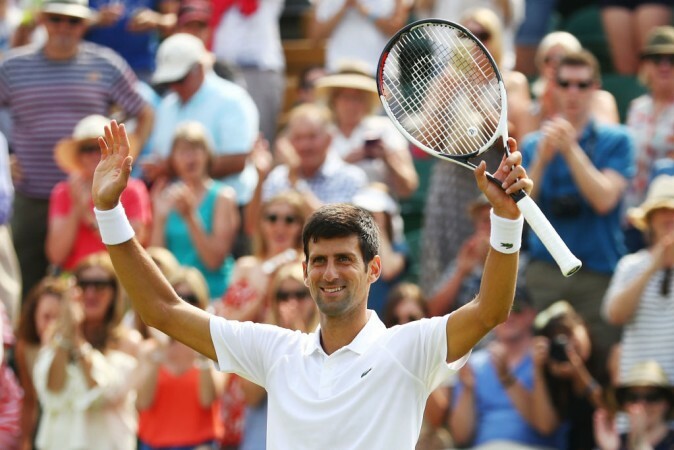 Former champion Novak Djokovic takes on local favourite Kyle Edmund in the third round of Wimbledon 2018 on Saturday, July 7. The third round match will start at the Center Court at 4:15 pm local time and 8:45 pm IST. Star Sports Select 1 and Star Sports Select 2 will provide live television coverage of the match in India. The live stream will be available on Hotstar and Jio TV. Djokovic is slowly but steadily getting back to his best after issues with is racquet-swing elbow marred his start to the season. The Australian and the American hard-courts were a disappointment for the former world number one but he has been improving ever since he reached the semi-final of Rome Masters. At Wimbledon, the Serb has so far been untroubled, having clinched straight-set wins over Horacio Zeballos and Tennys Sandgren. The world number 23 though faces a tricky test against local hope Edmund, who is having the best season of his nascent tennis career. Djokovic has a 3-1 head-to-head record against the Brit but the latter won their last meeting in Madrid earlier this year. 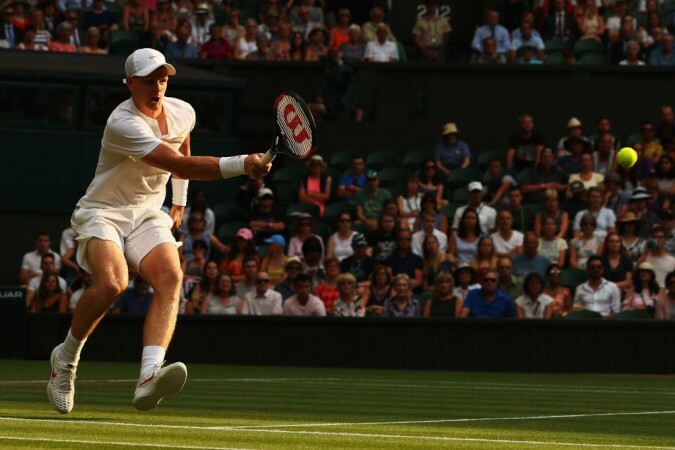 Djokovic heaped praise on Edmund ahead of their third-round tie, saying he is impressed with the way the 23-year-old has been handling the burden of expectations of the Brits in the absence of two-time champion Andy Murray, who withdrew from the tournament at the eleventh hour. "He's a hometown favourite now that Murray is not here. There's a lot of expectations and pressure on his back, but he's handling it pretty well so far," Djokovic said. Edmund stunned quite a few with his run to the Australian Open semi-final in January. He has stunned the likes of Kevin Anderson and Grigor Dimitrov before falling to Marin Cilic in straight-sets. His form has not been the same over the last few months but the experience of having played at one of the biggest stages should come in handy on Saturday. Edmund will also have the backing of a vocal crowd, who are set to have a restless evening, given the Three Lions will face Sweden in the quarter-final of Fifa World Cup 2018. Edmund acknowledged the rejuvenated form of Djokovic and promised a strong show against the Serb, who will be favourite to progress. "He's obviously playing well, winning both his matches here pretty comfortably. But we'll see. Every match is different. He's one of the best players in the world, one of the best players of all time. For sure, there's always that massive respect," the young Brit said. Djokovic has been serving pretty well so far and his defence is among the best in the world. Edmund needs to be wary of the Serb's returning skills and he needs to get his serves on target if he is to cause an upset at the Center Court today.